What does “winning” even mean. When we say you’re here to win, we mean that you are here to experience every nuance of a joyful life. Every single bit of information you’ve gleaned from your life up to this point gives you a new level of clarity to help you choose even better what you want more or less of. Yes, some of those experiences feel extremely rough and you wonder how in the hell you’ll ever make it through. We’re here to help you not give up on your dreams, and remind you that they’re coming. 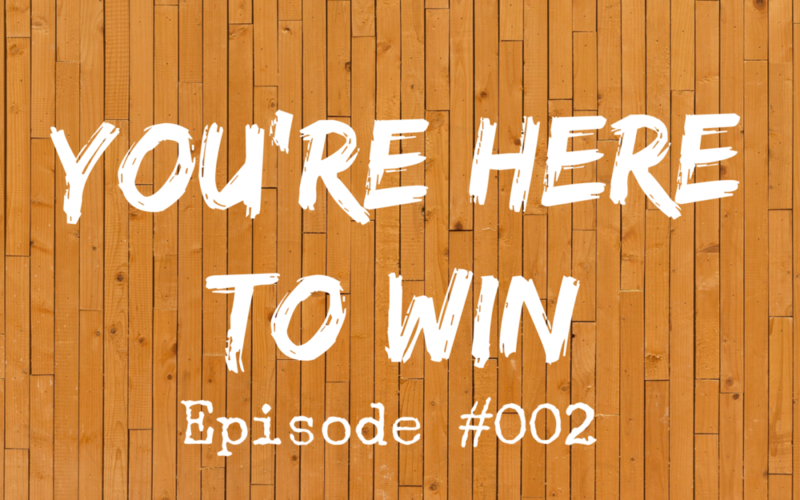 In today’s podcast we share some very personal experiences and how they’re currently impacting our lives in the here-and-now. I talk about my 215 mile bicycle ride and that when I got to mile 185 I felt like it could very well be the death of me, and Tiff shares her story of living in the grip of serious depression for 8 long years and how living that extreme experience is now giving her more joy and happiness than she ever knew was possible. This episode will give you a “fly on the wall” of our lives and get the insider view of our day-to-day lives. Our podcast is devoted to help you dump the overwhelm and live the happy, and remind you that what you want wants you, the Universe has your back implicitly, you’re not alone, and last but definitely not least, life is meant to be delicious, so delicious that everyday can feel like a holiday. A new episode will be in your inbox each week. 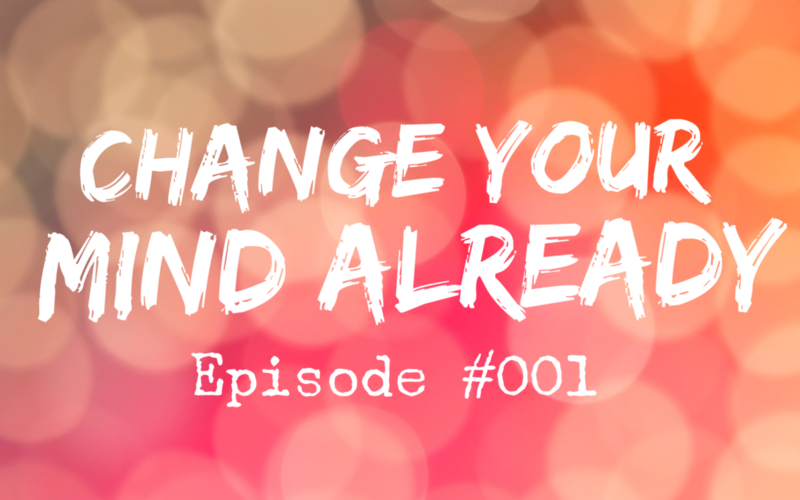 In today’s podcast, yes, the epic ground-breaking 1st episode, we cover 5 steps to help you feel better about your life, plus a bunch of other shenanigans sure to bring a smile to your face. You’re here to live YOUR life YOUR way. If you’re not living life on your own terms, oftentimes you’re living it on someone else’s. Know that you’re on this earth to thrive. Get clear on what kind of life you want enjoy. Study and understand the Law of Attraction. Pick one new thing that you want to incorporate into your life and practice it until it feels natural. Be yourself no matter what other’s think or say. by Jack | Feb 9, 2017 | Be You! Freedom, what’s it worth to you? The condition of being free of restraints. Liberty of the person from slavery, detention, or oppression. We all feel restrained in something don’t we? I remember when I was a child I was constantly in trouble or crying out of the sheer frustration of not being heard. Many adults around me were telling me how I was feeling and what I should or should not be doing. When I would say, “No!” I was in trouble. When I would say, “That’s not how I feel!” I was discounted and told I was smarting off, and sent to stand in the corner. I had much anger building in my little body because I had things to say and do that were important to me. In fact I was so angry that I was sick most of my life because of deep internal conflict. After almost 2 decades of being told how to live and what to feel, I finally realized…I’m the boss of myself. I am a brilliant human being that is free to choose the life I want for myself. I learned that I can trust my gut and that the God of my understanding has my back! We’re worried that we’ll be judged as being selfish and uncaring. We’re trying to make everyone else (but ourselves) happy. Also many of us have deep subconscious limiting beliefs that are telling us if we do or have our sacred desires we will somehow be doing something wrong. Many believe that by nature we are selfish and will do foolish and bad things. Might I suggest that by nature you are beautiful and perfectly wonderful only desiring to have and give joy. You were born with gifts and talents to bless and bring joy to yourself and others. Some of these gifts and talents of yours have been squashed by those around you that have forgotten about their own. There is not one mold to fit everyone. You have your own Personal Unique Essence, as does everyone else too. We must throw out this idea of “molds” and devour our uniqueness! It is as though each one us are a piece of a puzzle. Without one piece the puzzle is not complete. Each piece fits perfectly with another yet it is a different size and shape. 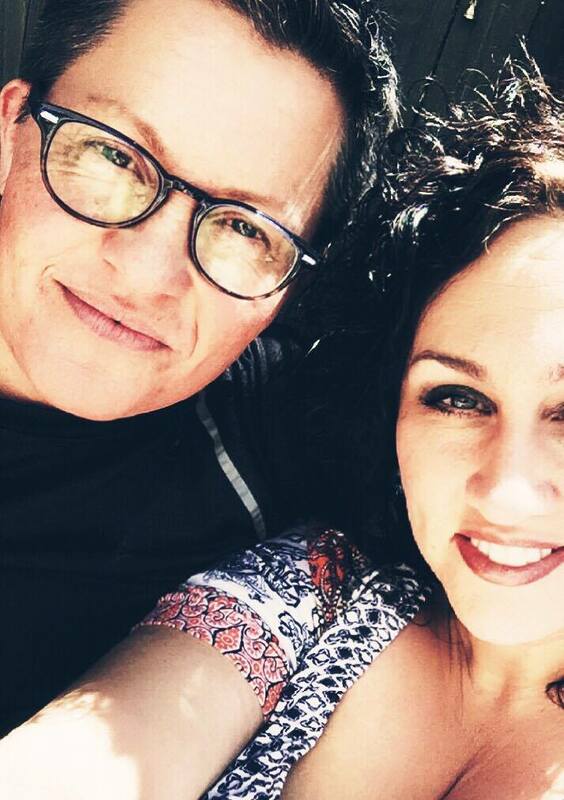 As we connect and live as our authentic selves we all fit comfortably together. Ahhhh. Isn’t that wonderful? What’s living the life you want worth to you? What are you willing to give to have it? There’s much talk right now of things feeling like they’re falling apart. Have you noticed all the changes happening in your life and those around you? Has it occurred to you that this perceived loss is only making room for the wonderful new? Many of us are setting high intentions to live in total abundance, happiness and joy, and there definitely is a connection between things falling apart and enjoying the new. A clearing must happen so there’s room in your life for your heart’s desire. And please please please remember that you living unashamed about who you are and celebrating your uniqueness is the main ingredient for you to be able to enjoy all the good you’re bringing into your life. Side note: If you’re not being true to you and living your life your way for fear of being judged for doing it different than most everyone else, you’ll be entrapped and blocking your own authenticity and progression. It means you are being lead by fear. Fear is an illusion. Let this crap go right now!!! You are the boss of yourself. You are not here to live the life someone else wants you to live. You are here to share your unique gifts and talents, and to have joy and abundance in all areas of life. And always remember that in order to receive something new, you have to have empty hands to hold it. Trust your gut, and always know that the UNIVERSE has your back. 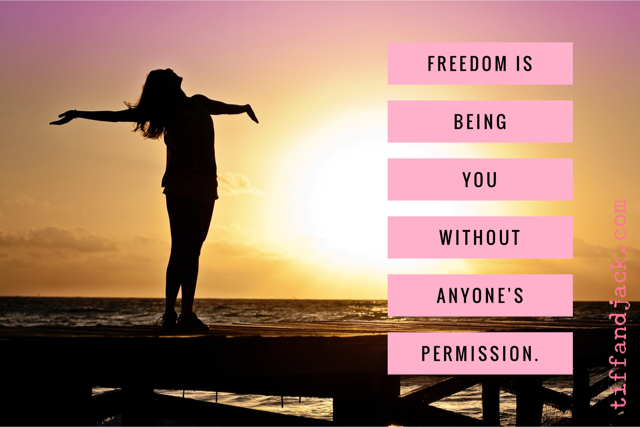 I do believe that the freedom to be our brilliant selves is the greatest blessing we can claim! 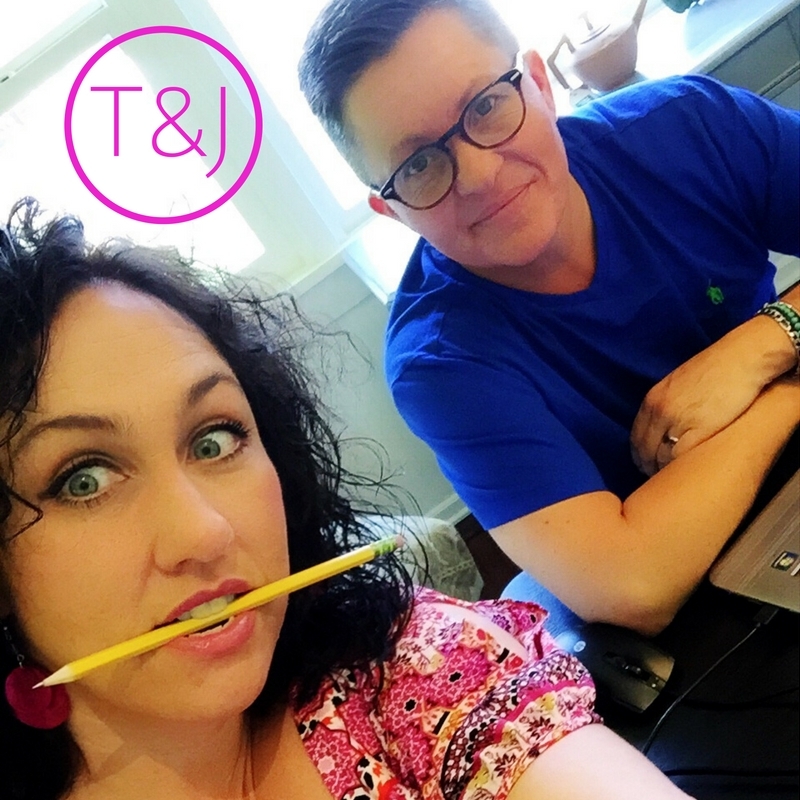 Tiff & Jack are trailblazers, visionaries, and unstoppable idealists–devoted to helping you create a life that begs to be devoured. Would you like to change your habits, manage your emotions, figure out the key to happiness, reinvent yourself, master your life??? Are you ready for all this and more, but don’t know where to start? Tiff & Jack are here to help. We know that saying this is the only advice you’ll ever need is damn bold. 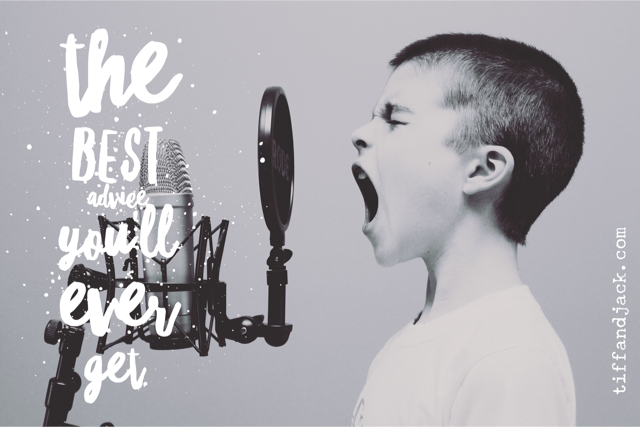 There’s a reason we can say that. We had the wonderful privilege of sitting with a dear friend at dinner and while there, he shared the most amazing story with us that has literally made our lives better right down to the day-to-day stuff. We give you all the details in today’s facebook live video, so if you’re interested in knowing what this life-changing advice is, you’re invited to watch the video. This advice will assist you to clear the chaos and clutter plaguing you from every side when you jump on facebook or god forbid…watch the news. As always, we send so much love your way that it could probably suffocate you because we love you that much.